Jedox Web starts in your default web browser. Please delete the cache and the cookies of your default browser and close the browser before starting Jedox Web. If you’re using Firefox, de-select the option for smooth scrolling in the advanced options to speed up performance. 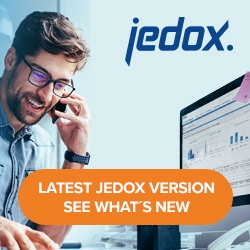 Start Jedox Web via Start > All Programs > Jedox > Jedox Web. The login dialog is displayed in the setup language: By default, the administrator login and password are both admin. After logging in, you will see the Jedox Web start screen. The following screenshot shows all Jedox Web panels: Reports, Report Designer, Modeler, Integrator, Scheduler, My Models, Marketplace, and Administration. You can also see a list of the recently open items and their corresponding thumbnails. To clear this list, go to Options > General > Overview Page > Clear List.